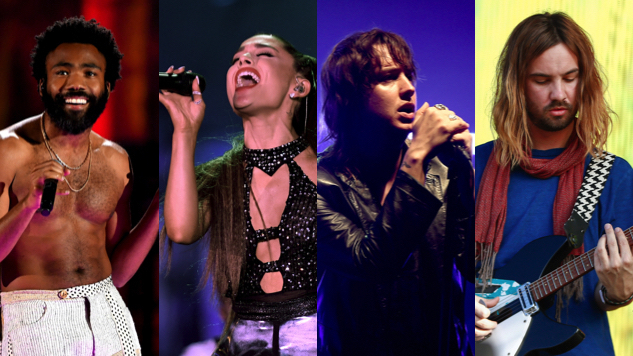 Chicago’s marquee summer music festival Lollapalooza has trotted out its 2019 lineup, with Ariana Grande, Childish Gambino, The Strokes and Tame Impala leading the headliner pack alongside TWENTY ØNE PILØTS, Flume, The Chainsmokers and J Balvin. 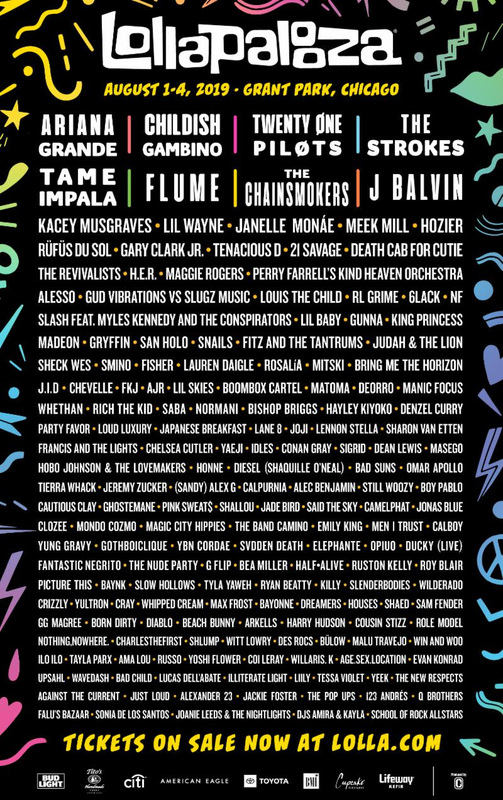 The four-day festival’s 170+ acts also include Kacey Musgraves, Janelle Monáe, Tenacious D, Death Cab for Cutie, Sharon Van Etten, Maggie Rogers, Mitski, Idles, Rosalía, Japanese Breakfast, (Sandy) Alex G, Tierra Whack, Fitz and The Tantrums, Yaeji, Masego, Jade Bird, Cautious Clay, Men I Trust, Still Woozy, Mondo Cozmo, YBN Cordae, Ruston Kelly, Fantastic Negrito, Sam Fender, Arkells and many more. Newly minted Album of the Year Grammy winner Musgraves is making her Lollapalooza debut, while Van Etten is supporting one of 2019’s best albums so far in the superlative Remind Me Tomorrow. Notable acts further down the bill include Diesel (aka NBA legend Shaquille O’Neal, who also DJs), Stranger Things star Finn Wolfhard’s band Calpurnia, and Pink Sweat$, who’s fresh off a Grulke Prize win at this year’s SXSW. Lollapalooza 2019 takes over Chicago’s Grant Park from Aug. 1-4. Four-day tickets are on sale now—you can get yours here. One-day tickets go on sale at a later date. See the fest’s full lineup below, beneath a Tame Impala session from the Paste archives.